They say that love is like a puzzle. At first it's confusing & frustrating but when you figure it out, it's a beautiful thing. Love can mean a million things as how you define it. For many, it's like a music in your ear that you would love to hear over and over again. Some tell it's like a butterfly that we keep on chasing or like a river that flows to your heart endlessly. Well, we often associate it with many things and subjects to better describe what it is. Simply because we can't find the right words to define it. But one thing is for sure, it's magical. It can be felt but completely inexplicable. But whatever love means, we all benefit from it and we want the feeling of loving and be loved. 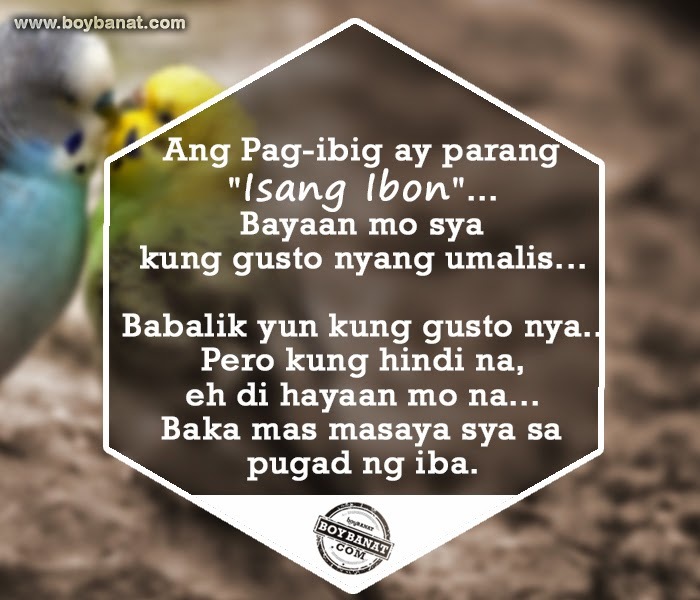 This feature is another cute selection of Tagalog Pag-ibig Quotes that We Can Relate To that we know will speak right to your heart. Hope you'll like it. Stay happy and in love! Ang Pag-ibig ay parang "PE" lang. Di ka makakapaglakad ng maayos kung wala yung isa. Dapat komportable ka rin di ba? Ang Pag-ibig parang "Baraha" lang. "Never play with the Heart"
Ang Pag-ibig ay parang "Lobo" lang. Kapag na nabitiwan mo, hindi na babalik sayo. o sadyang TANGA ka na lang. babalik yun kung gusto nya..
Baka mas masaya sya sa pugad ng iba. Meron pa naman Next Train di ba! Ang Pag-ibig ay parang "Malinaw na Tubig"
Ang Pag-ibig ay parang "Bill sa Kuryente". 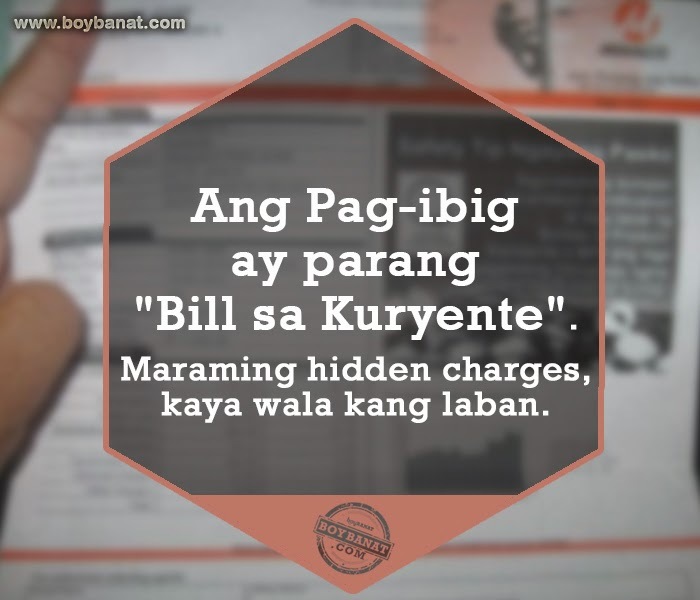 Maraming hidden charges, kaya wala kang laban. Ang Pag-ibig ay parang "Plantsa". Kapag hindi na mainit, di na kayang umayos ng gusot. Ngayon ginagawang laruan na lang. What is love for you? Will be glad to know! Let your heart speak to us and share with us your ultimate collection of love quotes that will inspire more readers. Let them be posted here. Contact Us for more details. 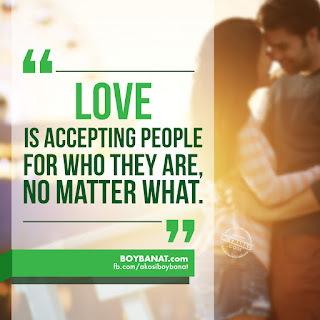 Stay updated on your favorite features by visiting us at www.boybanat.com or at Boy Banat Official Facebook page and get the latest quotes and more. Nice :) sana marami pang updates na hugot. Ang pag-ibig ay parang "TUBIG"